NEET 2019 Physics Syllabus for the medical entrance examination in PDF format is available to download on Vedantu.com. Downloading the Physics Syllabus of NEET 2019 will help candidates to prepare for the exam thoroughly & to score more marks in NEET Examination. 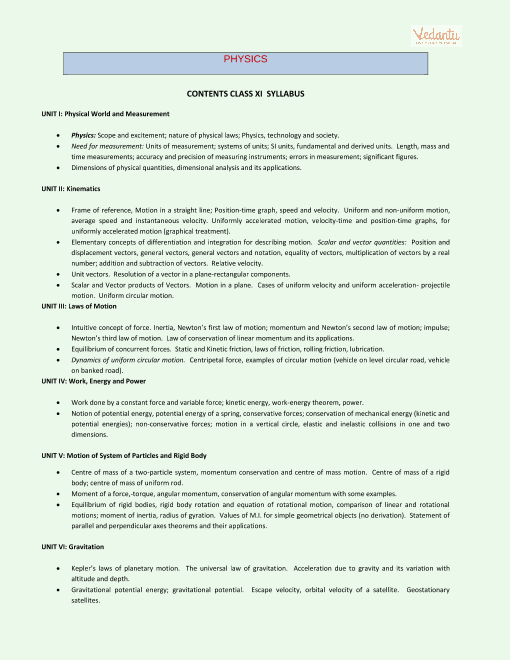 The syllabus is the utmost important part as it helps all the candidates to know about the various topics/ subjects on which they must work upon for the examination.